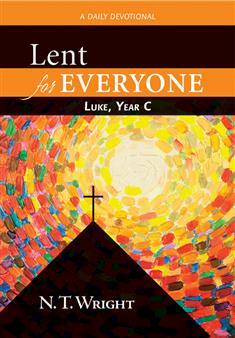 Lent for Everyone: Luke, Year C provides readers with an inspirational guide through the Lenten season, from Ash Wednesday through the week after Easter. Popular biblical scholar and author N. T. Wright provides his own Scripture translation, brief reflection, and a prayer for each of the days of the season, helping readers ponder how the text is relevant to their own lives today. By the end of the book readers will have been through the entirety of Luke, along with Psalm readings for each Sunday. Suitable for both individual and group study and reflection, Wright's Lenten devotional will help you make Luke's gospel your own, thoughtfully and prayerfully, and your journey through Lent a period of rich discovery and growth.